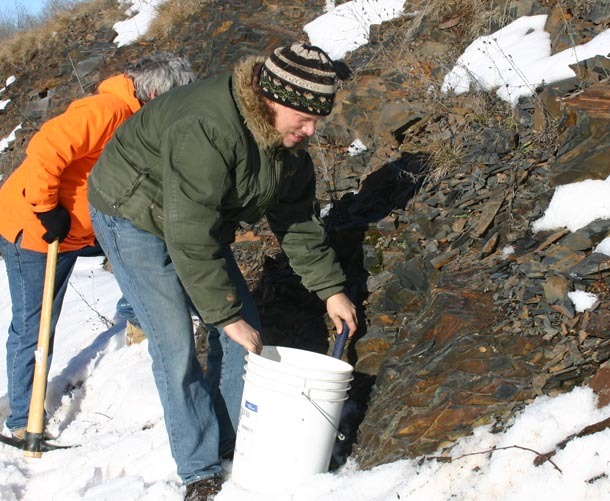 Wisconson scientists collecting rock samples from the Penokee Hills near the proposed site of a 22-mile open pit iron ore mine. Please read the shocking testimony that two area geologists gave at the public hearing on February 17, 2012 concerning the new Wisconsin mining bill. This information is confirmed by a geologist at Lawrence University. Then read about the subsequent discovery that the bill’s authors are trying to redefine science. It’s time for We the People to make this information go viral. Clearly corrupt legislators, working with the mining company, are grossly misleading the public on the dangers of the new bill (read here). Ignoring the overwhelming public sentiment against this bill, and now the clear and present dangers of misleading and false information, they march onward in an attempt to usurp all the power and create an environmental nightmare. The Penokee Mountains and Lake Superior are not the only places that will suffer from GTAC’s mountaintop removal plan. The new mining bill makes the entire state susceptible to this terror. Please contact your local legislators (see below), newspapers (http://www.usnpl.com/winews.php), Ashland County Board (http://www.co.ashland.wi.us/county-board) Iron County Board (http://www.co.iron.wi.gov/Localgov_council.asp?locid=180), your own local boards, as well as friends and family to educate them on this new assault on the State of Wisconsin. It is vitally important that we get this information to as many as possible, including those who don’t go online but instead rely on print papers for their information. To do this you can write letters to the editor of your local papers, as well as download any of the articles on Wisconsin Citizens Media Cooperative as PDFs that can be printed and distributed. Also, contact Rachel Maddow (Rachel@msnbc.com), Brad Friedman (GreenNews@BradBlog.com), Ed Schultz (Ed@msnbc.com), Mike Papantonio’s Ring of Fire ( info@ringoffireradio.com), and any other nationally syndicated media outlet and ask them to cover this breaking environmental news. Also contact your local television stations and demand they cover this story of significant importance to the entire state. This year in Wisconsin has been like no other. Now is the time to help turn the tables and get our State back! Considering the latest development, it is no hyperbole that our very lives depend on it.